Without fail, I am drawn to creative projects that have fascinating art. That’s the reason I was so drawn to Figment, the beautiful hand drawn art which is reminiscent of The Nightmare Before Christmas, with a little Freudian dream logic thrown in. 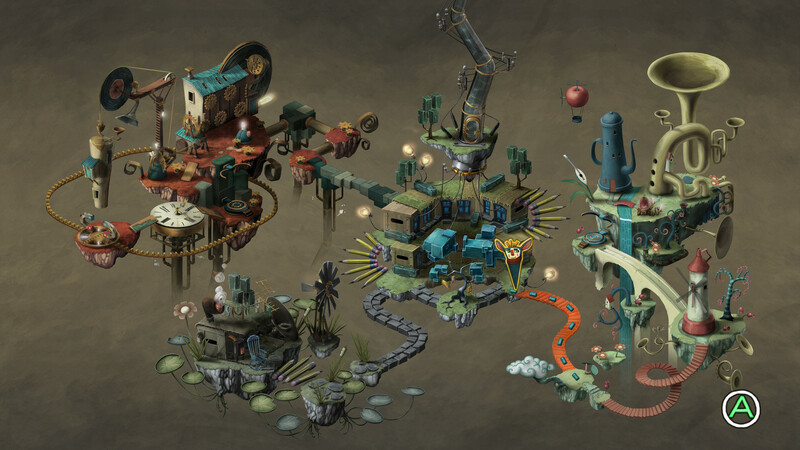 I actually didn’t realize prior to the demo that the devs behind Figment, Bedtime Digital Games, were actually behind Back to Bed, a great looking puzzle game sitting in my Wii U wishlist. Now that I’ve had a chance to play Figment, I strongly suspect I’ll be moving Back to Bed from my queue into my game collection. Figment takes place inside someone’s mind, and you play the duo of a reluctant hero Dusty and his avian companion Piper. Your goal? To set things right by dealing with the nightmares plaguing the mind of your host, and they are all hilariously monstrous foes. For example, the first nemesis you encounter in the demo looks like someone wearing a plague mask who has mouths in his chest. He is a physical manifestation of the fear of tooth loss and pain, and he attacks you with literal bad breath clouds, as well as raining broken teeth upon you. 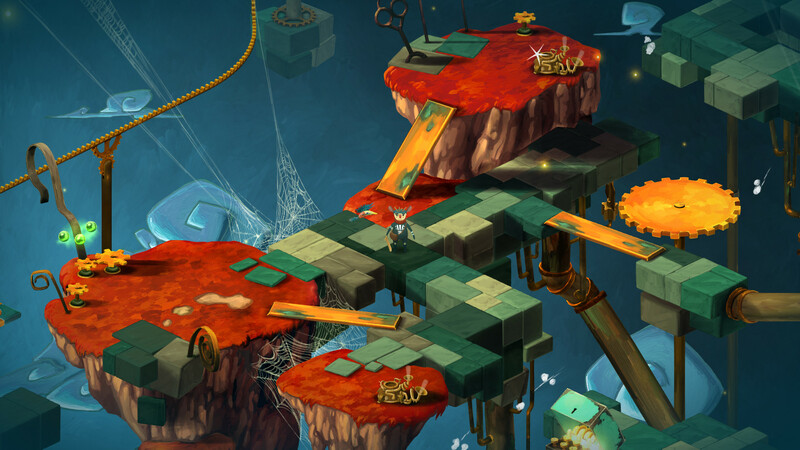 Though there is combat, Figment is primarily a puzzle game, and I mean that in the very best way. The game provides all sorts of visual cues to point you in the right direction, and oftentimes approaching a problem a different way will yield a solution, such as taking a valve handle from one device to another to clear the path with gusts of wind. 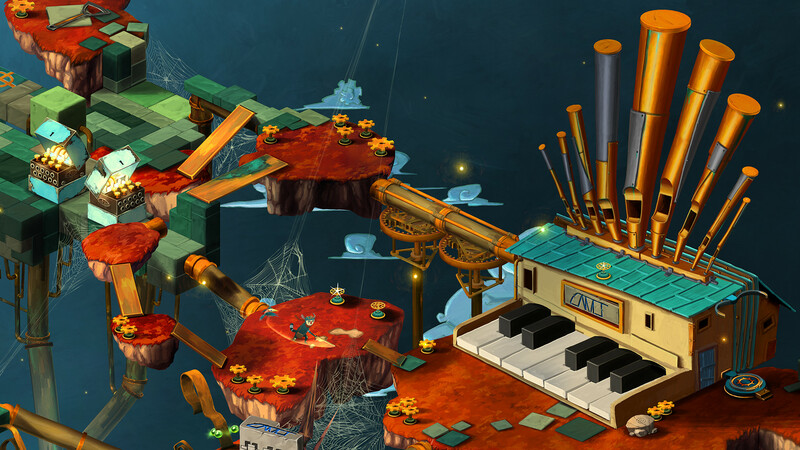 The puzzles are adeptly interspersed with attacks from the nightmares and their minions. You can fight them off with quick swings of your blade as well as a handy dodge move. In the case of the tooth nightmare, his minions are burrowing creatures who burst from the ground and spew nasty muck on you. Later on in the demo, there was a gigantic mask wearing spider who attacked you in a realm of logic. Most surprising to me was the fantastic voice acting in the game. The nightmares don’t just attack you, they often serenade you with taunts, and the voice actors have done an incredible job of bringing this surreal world to life. Likewise, Dusty and Piper are adeptly voiced, and their banter is delightful. The music is also a treat, and it all works together quite nicely with the art. Best of all, the game encourages you to backtrack to find hidden items that reveal the backstory, but you’re not required to do so. That way the game appeals to multiple audiences. 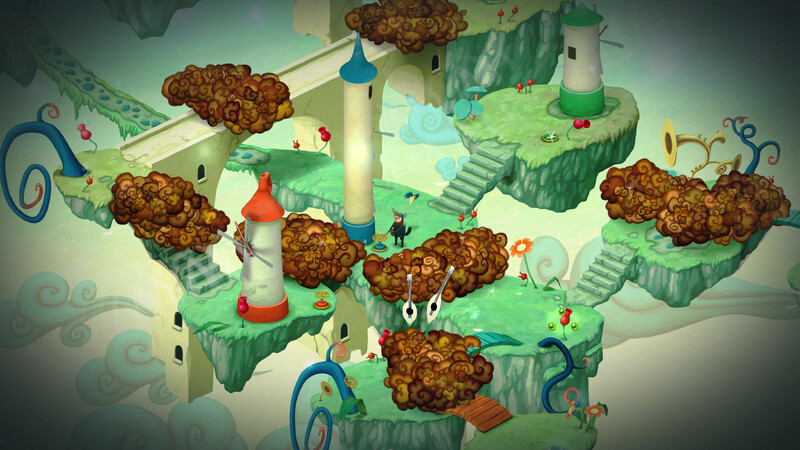 Slated to release on Steam and PC and then consoles, Figment is shaping up to be an indie gem. Bedtime Digital Games now has my attention, and I look forward to seeing how they continue to build their unique brand.